Tell the Truth. Make It Matter. : A Memoir Writing Workbook by Beth Kephart, illustrated by William Sulit, is the perfect workbook for budding memoirists because it provides not only writing exercises but enough room to write inspirations down. Users can even staple additional pages in the book if they need more room. What I love about the workbook, other than that it is written by Beth Kephart, is that the illustrations could jog the brain into writing and the exercises vary from writing about a first memory to writing a poem about an event. 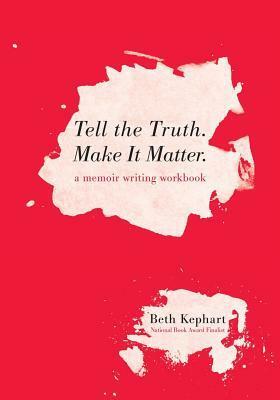 Born from her Juncture workshops, Kephart uses those experiences to offer writers exercises that will leave them inspired to tackle that memoir or other writing project they’ve been thinking about. For example, in the writing about your first lie exercise, there are tips about finding the bigger story in the lie, as well as suggestions to think about the details to make them alluring and to think about who you were before the lie was told and who you were after it was told. The workbook is broken down in to finding your voice, finding the true you, hunting for memory, navigating your world, using photographs to job memory or inspire, and many other topics. I love how the exercises help you tease out details for your writing, and by the end of the workbook, you should be prepared to tackle that memoir or other work you’re looking to finish. Always remember that the truth matters and that your memoir is not just about you! Very sage advice. If you’re looking for a workbook full of exercises to get you thinking outside the box, Tell the Truth. Make It Matter. : A Memoir Writing Workbook by Beth Kephart, illustrated by William Sulit, is the one, especially if you’re writing a memoir. Using your imagination, you could also adapt the exercises to suit your fiction writing needs or just get writing in general, if you’re a little rusty. Kephart has done it again. Beth Kephart is the author of twenty-two books, publishing memoir, young adult literature, a corporate fairytale, an autobiography of a river, and an essay/photography collection. Handling the Truth: On the Writing of Memoir (Gotham), based in part on Kephart’s teaching at Penn (where she won the 2015 Beltran Teaching Award), won the 2013 Books for a Better Life Award (Motivational Category), was featured as a top writing book by O Magazine, and was named a Best Writing Book by Poets and Writers. 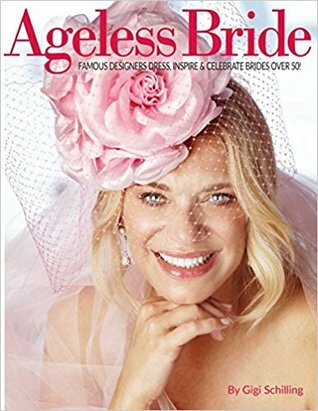 Small Damages (Philomel) was named a 2013 Carolyn W. Field Honor Book and a best book of the year by many publications. Going Over (Chronicle) was the 2014 Parents’ Choice, Gold Medal Winner/Historical Fiction and a Booklist Editor’s Choice. One Thing Stolen (Chronicle) was a 2015 Parents’ Choice Gold Medal winner. Kephart’s 2014 Shebooks e-memoir is Nest. Flight. Sky. : On Love and Loss One Wing at a Time. Her 2013 middle grade historical novel, Dr. Radway’s Sarsaparilla Resolvent (Temple University Press), was named a top book of the year by Kirkus. Kephart is a National Book Award nominee and a winner of the Pennsylvania Council on the Arts fiction grant, a National Endowment for the Arts grant, a Leeway grant, a Pew Fellowships in the Arts grant, and the Speakeasy Poetry Prize. She writes a monthly column for the Philadelphia Inquirer, is a frequent contributor to the Chicago Tribune, has given keynote addresses on the state of literature and teaching, and served as a judge for the National Book Awards, the National Endowment for the Arts, and PEN. Kephart was one of 50 Philadelphia writers chosen for the year-long Philadelphia’s Literary Legacy, exhibited at the Philadelphia International Airport. Excerpts from her Love: A Philadelphia Affair were the subject of a six-month Airport exhibit. She is a Radnor High Hall of Fame. Kephart’s most recent book—This Is the Story of You—was published by Chronicle and is a Junior Library Guild and Scholastic Book Club selection, on the 2017 TAYSHAS list, a VOYA Perfect Ten, and a Top Ten New Jersey Book. Kephart will release two middle grade books with Caitlyn Dlouhy of Atheneum/Simon & Schuster. She is the co-founder of Juncture Workshops, offering memoir workshops and resources to writers across the country. The Totally Gnarly, Way Bogus Murder of Muffy McGregor by Teddy Durgin is a mystery novel chock full of 1980s movies, music, and nostalgia. Sam Eckert is a 15-year-old boy living in Laurel, Md., and he’s one of those boys who is on the outside looking into the popular crowds. Since entering high school, he’s experienced bullying and lived an ordinary life, even as his friend and crush Barbara makes her way to the in-crowd via Muffy McGregor. Summer 1986 is Sam’s time to make something happen, and he figures if he takes a job at 16 Plus, he’ll have a chance to interact with Barbara and maybe get her to go out with him. Chip Roundtree and Buddy Bradford are his best friends — the ones that trade movie quotes and other pop culture moments. When a explosion rocks the Laurel Center Mall, Sam is thrust into the center of a murder mystery. Who killed Muffy McGregor, the most popular girl in high school? Was it her jock boyfriend, Brent, or was it a jealous friend, like Barbara, or maybe it was someone no one knew? Sam decides to team up with Private Investigator Rabinowitz to solve the murder after a newspaper article about her death hurtles him head first into popularity. Durgin certainly has a firm grip on the 1980s, and his movie references are spot on, and make this mystery funny in several places. He’s adhered to the culture of the time and references stores that are no longer in business. Readers will see how much life has changed for teenagers, but also how much it has stayed the same. His characters are quirky and fun, but they also must deal with real-life issues like bullying and how to interact with the most popular kids in school without looking like total buffoons. Readers will have to suspend disbelief that a private investigator would allow a teenage boy to help him solve a murder, but in Sam’s case, even if Rabinowitz had not taken him along, he would have likely done it on his own. It also seems as though Sam’s friend, Buddy, disappears almost entirely from the narrative. Despite these quibbles, the novel is a quick read for the poolside this summer. The Totally Gnarly, Way Bogus Murder of Muffy McGregor by Teddy Durgin is a satisfying trip into the 1980s, and the mystery is well crafted. I do hope that there are future installments. Teddy Durgin is a devoted film lover and a trained journalist who has reported on the entertainment industry since 1997. He runs Teddy’s Takes, a movie review subscription service, which is equally as amusing as this book and is a mere $20 for Baltimore-Washington area subscribers who attend free preview screenings he sponsors and $12 for those elsewhere. He’s also a writer for several newspapers and journals, as well as a senior editor at SmithBucklin.